This table top was created to show specials of the day. This item has two chalkboards that are held together by solid oak pieces. 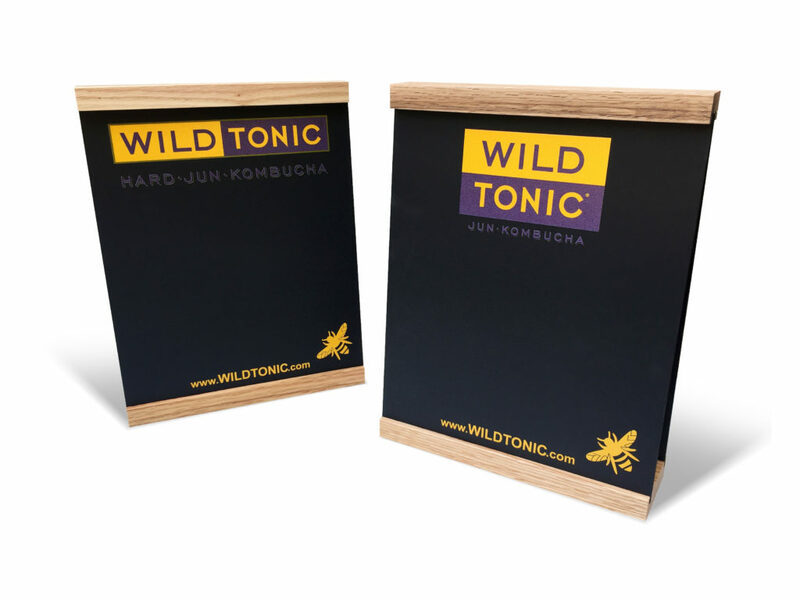 1-4 color UV printing was the decoration method used on the chalkboard.